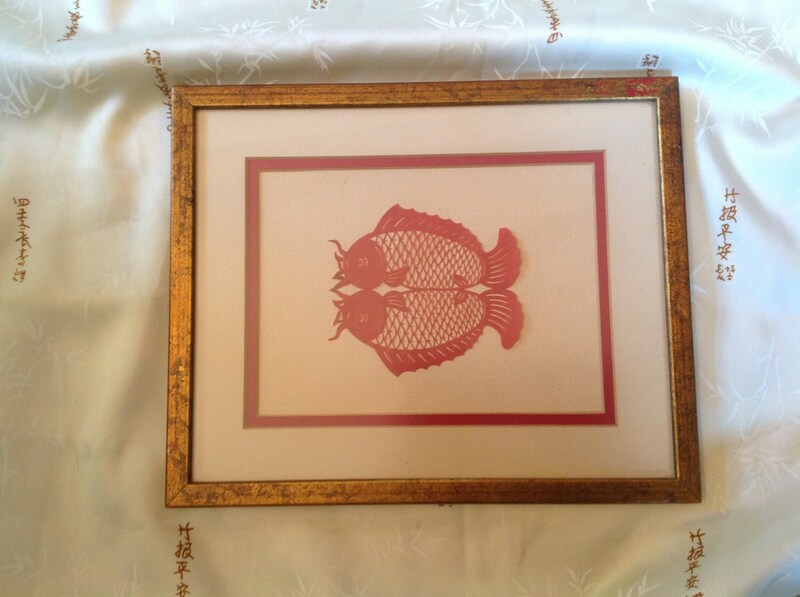 Offered is a vintage framed and matted scherenschnitte paper cutting. 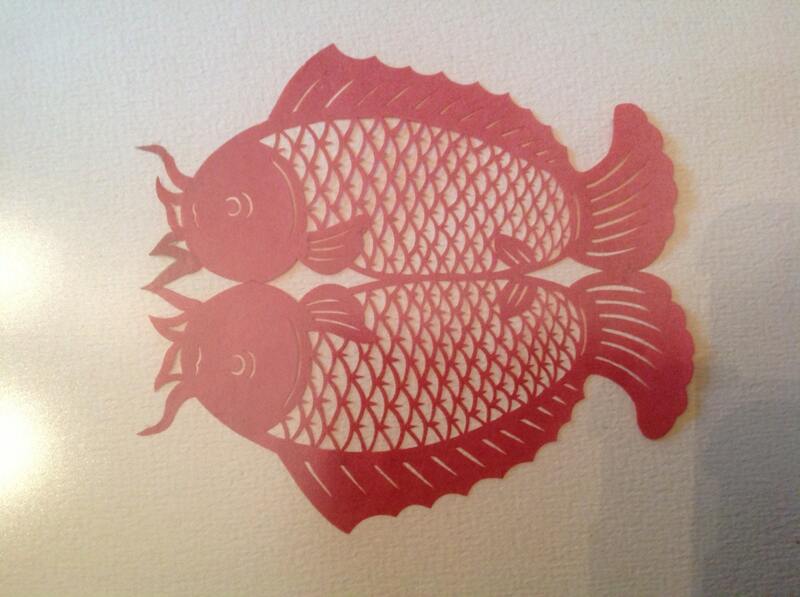 The design features two symmetrical fish in red. This piece has a strong Asian feel. The background and mat are ivory with red trim. 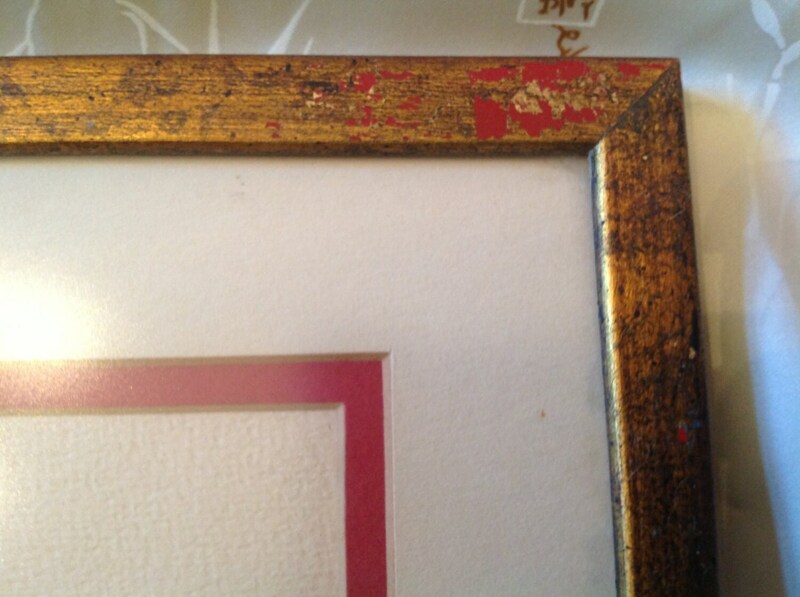 The frame is antiqued gold paint over red painted wood. Some of the gold paint has worn on the top right hand corner (see third photo). It might be interesting to remove some more of the gold paint to create a two-toned effect, but I will leave that to you. The back has a label stating: "Dundle Dabble Shop - Gifts - Custom Framing - Crafts & Art Classes - Milford, Ohio" Very striking! Scherenschnitte (German pronunciation: [ˈʃeːʁənˌʃnɪtə]), which means "scissor cuts" in German, is the art of papercutting design. 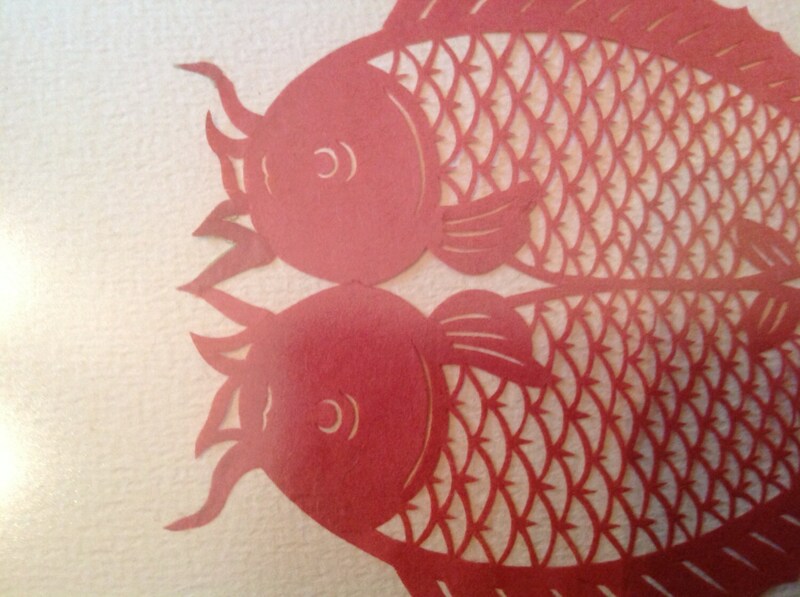 The art work often has symmetry within the design, and common forms include silhouettes, valentines, and love letters. The art tradition was founded in Switzerland and Germany in the 16th century, and was brought to Colonial America in the 18th century by immigrants who settled primarily in Pennsylvania. I can combine shipping. Shipping estimates are on the high end to cover the western US. However, I do reimburse for shipping overages of $1.00 or more.